Driving along Rt. 1 through Big Sur, you might notice a giant nest perched ever-so-delicately on the rock walls and steeply rolling hills. 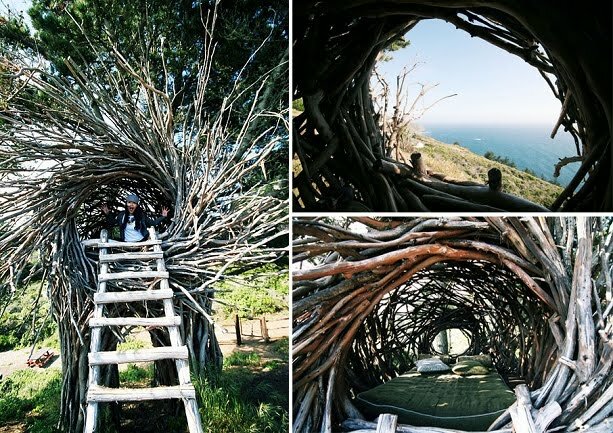 The structure looks so organic and haphazardly placed that it could just lift off its roost and float along with the coastal breeze. If you do scale the mountain, you'll find a whole community of these little structures. 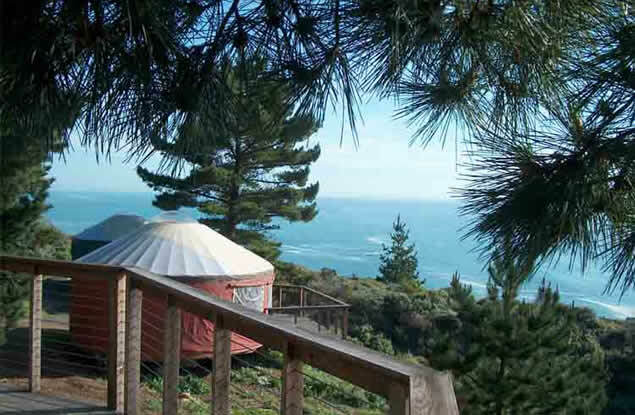 Treebone Resort in Big Sur offers up yurts, tents spots, and a human nest (!) for guests passing through. While each structure's artistically and skillfully crafted, the view of the ocean is even more awe-inspiring and breathtaking. 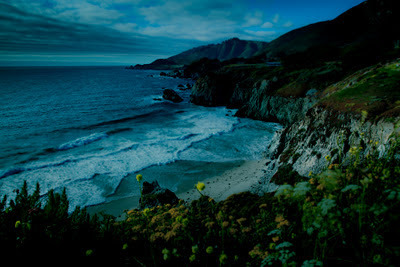 Suggested items to pack: flashlight, warm PJs, swimsuit, a surfboard, and a sense of adventure.